Colin Panarra and MJ DeMarco like this. I started the book four days ago and finished today. Read it before and after work. I haven't finished a book in ages. I already downloaded the audiobook. This information needs to marinade in my brain. I feel like 90% of stuff I've thought before at one time or another, but it never really had a chance to crystalize before I went back to my sidewalker/slowlaner ways. Cheers to MJ for being smart enough on his own to walk a path that led him to writing this great book and sharing his philosophies with us all. I am curious. Before this book came out, where did people find something like this? There has to have been someone before MJ who wrote something similar? Anyone know? Gray Blimp and MJ DeMarco like this. Definitely one of the most influential books I have ever read. My whole perspective about life is changed. I got the book finished last night. Probably the best book I've ever read. Only wish there was more. Anyway, for anyone who reads this, I have one question. Early in the book, it is mentioned that entrepreneurs must aim to hit home runs, not singles. All you need is one home run to be successful. This implies multiple attempts, and plenty of strike outs. This seems contrarian to later in the book, the chapter that stresses you should be monogamous with one business, not trying to chase money, hoping to find anything that sticks. Hopefully someone can help reinterpret/decipher this for me. I understand the spirit of both parts, just would appreciate another angle or explanation. Thanks all. And thanks MJ. Read the book and very grateful to have found it. Reading the first few pages I envisioned a great explorer handing over a treasure map! I actually found the book from this forum! I was looking at some stories about an Amazon business going well. It is backlinked to a thread of this forum. The thread's discussion is very in-depth and interesting, which lead me to think what this forum is about. I discovered the forum is based on MJ's book TMF. I vaguely remembered I saw this book on Amazon a while back, laughed at the title and thought "ya right, another get rich fast book". I purchased the kindle version without any hesitation this time and started reading right away. OMG, I wish I read it much earlier! I finished the book and also purchased the audio version so I can listen to it again in the gym. There has to have been someone before MJ who wrote something similar? Anyone know? I thought Rich Dad Poor Dad grazed something similar, but not to the depth where I went. There's also an old book called "Your Money or Your Life" (Gonzalez author??) that also has similar ideas insofar as a money system concept. Gray Blimp and Kingmaker like this. I read the book over a year and a half ago. It was not my copy. I recently ordered it from Amazon, to have one on the shelf or for re-reading. It arrived yesterday and I started re-reading it. On chapter 4 right now. Just finished the book earlier today and I loved every second of it. 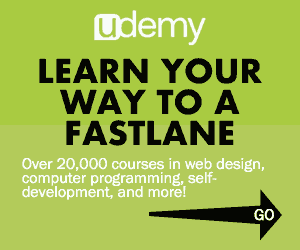 Definitely motivated me to really start changing my life style to start heading down the Fastlane! MJ DeMarco and Colin Panarra like this. Finished the book several months ago, and rereading again it now!! is putting my time and effort all to waste. I just read it for the second time. I love how the first 1/3 of the book is everything I've always observed about other people, but MJ just organized those thoughts so beautifully, and he really pinpoints exactly what is wrong with the sidewalk/slowlane way of thinking. His analysis of Time being the most scarce resource we have, is spot on. Driving an extra 30 minutes to save $10. I've witnessed this so many times and it never made any sense to me. 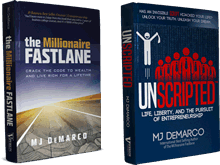 @MJ DeMarco I read the TMF got shocked how muct i would have to make in my money system but already on the road ! Well, I have just completed it. Read the book. Though I have to make it into habits. That's will be though. Anyone built habits out of the book? I read the book in January... LOVE IT! Then I read a few books on business models, like inventing products and real estate. Now I'm on my second re-read of Fastlane Millionaire. Also just downloaded 'How to build a billion dollar app' by George Berkowski, which I'll start reading soon. I've got an idea for an app - a need that I haven't seen anyone address very well yet. It's kind of niche but could be worth something if done right. Also, I've taken the school of hard knocks course on real estate investing, and thinking about trying that again but smarter this time around. Any resources (models, books, authors, mentors, websites, etc.) you recommend for investing in real estate as a path to millions? Same question for Apps? I have read it, I loved it, and I will be reading it many more times till I know it by heart! Two years ago @Joaki introduced me to this book and it has left its mark in my life! Loved EVERY second of it! I've honestly lost track of how many times I read TMFL. Thanks @MJ DeMarco , I'll forever be grateful for this masterpiece. Enough said, back to work! MJ DeMarco and dude_abides like this. One of the best I've read! Fox and MJ DeMarco like this. I just finished reading the book today! Amazed at how much my mindset has changed from beginning to end. Training my brain to be conscious of when I am committing treasonous acts and figuring out how I can produce to millions. Thank you MJ! I've read TMF , very insightful! Just finished it a week ago. Great book! !